The Patriots head back out on the road for the 2016 regular season finale when they take on the Miami Dolphins on Sunday at 1 p.m. The Patriots are 13-2 and could clinch the top seed in the AFC tomorrow with a win or from a loss or tie by the Raiders in Denver. 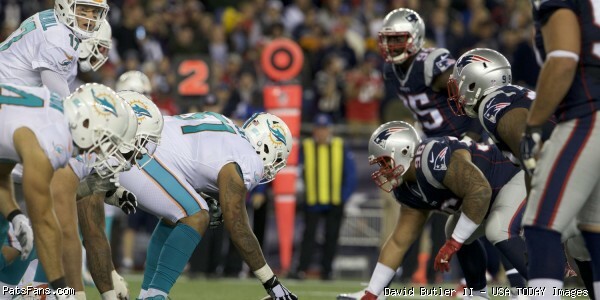 But remembering last season’s finale in Miami, the Patriots want to close the deal and finish strong with a win. The Patriots can finish the season 8-0 on the road with a victory Sunday which would mark just the seventh time it’s been done in history. The Dolphins are 10-5 and have already clinched a playoff spot. They’re currently locked into the #6 slot but with a win and some help, could slide up to the 5th position. While not sounding like a large variation, it would be the difference between traveling to Pittsburgh on Wild Card weekend, or to Houston. QB Tom Brady: Brady has been hobbled by a thigh injury that he suffered weeks ago against the Seattle Seahawks. He hasn’t missed any game action and appears completely healthy from that standpoint. But he’s missed practice time again this week, although it could just be the coaching staff wants to limit his workload heading into the postseason. Although the Patriots have won 10 of their last 13 against the Dolphins, the last three times they’ve been in Miami they’ve come up short. And Brady hasn’t had some of his best games down there. That’s something he’d like to change this week. 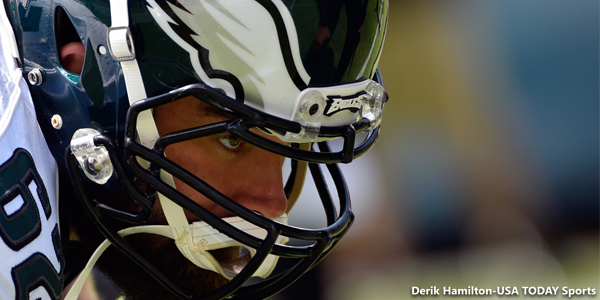 Facing a defense where many of their players are hurting, this could be a prime opportunity. Unlike last season where the Patriots had a preponderance of the game plan centered around running the ball with an aging Steven Jackson, this season should show the Patriots using a much more balanced attack. 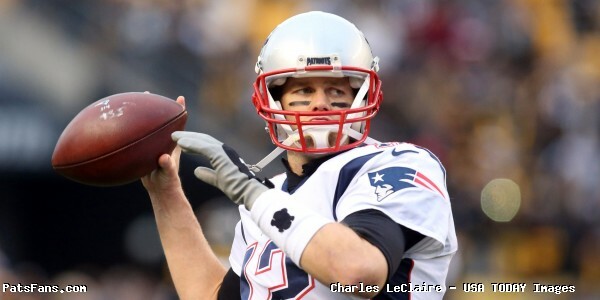 Look for Brady to be on top of his game this week, facing a playoff team that doubles as a divisional rival. DT Alan Branch: The Patriots have been very good against the run in 2016 and much of the credit has to go to the big men in the middle, Branch, and Malcom Brown. They’ve been excellent at clogging up the running lanes and stopping the forward progress at the point of attack. The Pats have allowed just 89.5 yards per game on the ground. But this week they face a resurgent Dolphins team with Jay Ajayi who rushed for 206 yards last week against the Bills. No doubt Bill Belichick will have the team watch the tape of overtime where Ajayi burst through the defense and rolled for a 57-yard run that eventually proved to be the difference in overtime. Branch, 32, is in the final year of his contract and would like to finish off the 2016 regular season and head to the playoffs on a high note. Belichick praised the veteran this week, as the Patriots most consistent defensive tackle. Branch will be looked to on Sunday, to slow the running of Ajayi and force the ball and ultimately the game into Matt Moore’s hands. RB LeGarrette Blount: Blount is in the middle of a mini-slump while still having the best year of his career. Although the big man has gained over 1100 yards and scored 17 touchdowns, the past two weeks has found Blount averaging less than 2.5 yards per carry against Denver and the Jets. A game against the porous Dolphins run defense could be just what the doctor ordered for the big man. Miami is allowing 141.8 yards per game and a whopping 4.9 yards per carry, worst in the league. Blount and Dion Lewis should see plenty of carries in this week’s matchup against the league’s 30th ranked rush defense. Miami is banged up on defense and will be missing their top two safeties, their best corner, and a starting linebacker. The Patriots have plenty of weapons on offense and should keep the Dolphins focus on their passing game while using the running game to keep the offense balanced. Look for Blount to log another 20-carry day in the Miami heat on Sunday. CB Logan Ryan: The Patriots veteran corner has been playing very solidly the past several weeks and is usually lined up on the opponent’s speediest wide receiver. The Patriots have settled on a trio of Malcolm Butler, Eric Rowe, and Ryan. And since then, the play of the secondary has improved. The Patriots remember the second half of the Week 2 contest where Ryan Tannehill and the Dolphins nearly pulled off a huge comeback. 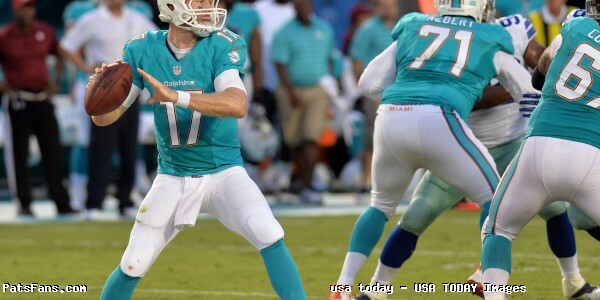 Tannehill completed 20 of 21 at one point and both DeVante Parker and Jarvis Landry went over the 100-yard mark. Look for Ryan to match up with the speedster Kenny Stills this week. He’s been the Dolphins big play receiver and seven of his eight touchdowns have gone for 20 yards or more this season, including three of more than 50 yards. Ryan will have his hands full with this matchup and this one should be a key one to watch tomorrow. TE Martellus Bennett: The wide receivers of the Patriots will draw the attention of Miami’s corners this week. The three running backs can stress the defense in both the running game and the passing game, and then there is Bennett. The Patriots big tight end is a terrific blocker as well as a difference maker in the passing game. In the first matchup with the Dolphins, he caught five passes for 114 yards and a touchdown. And with Miami hurting on defense, he can be a guy that can create some mismatches for Tom Brady. Although Bennett has been slowed lately with some injuries, he’s been able to answer the bell and has gutted his way thru the pain since Week 5 against the Browns. The Dolphins will have two backup safeties starting this week. I look for the Patriots to attack the seams of the defense, especially with Bennett who had success against them in Week 2. He will also be looked to in the running game to help spring the backs and get them to the second level. Stay tuned to PatsFans.com as we’ll have up-to-the-minute breaking news as well as post-game analysis. This entry was posted in Patriots Commentary, Patriots News and tagged 2016 NFL Season, 2016 Patriots season, Bill Belichick, Buffalo Bills, Chris Hogan, Danny Amendola, Denver Broncos, Dion Lewis, Dont'a Hightower, Jabaal Sheard, Jay Ajayi, Jimmy Garoppolo, Julian Edelman, Malcolm Butler, Martellus Bennett, Matt Moore, Miami Dolphins, Michael Thomas, Ndamukong Suh, New England Patriots, NFL, Patriots, Rob Gronkowski, Ryan Tannehill, Tom Brady on December 31, 2016 by Steve Balestrieri. 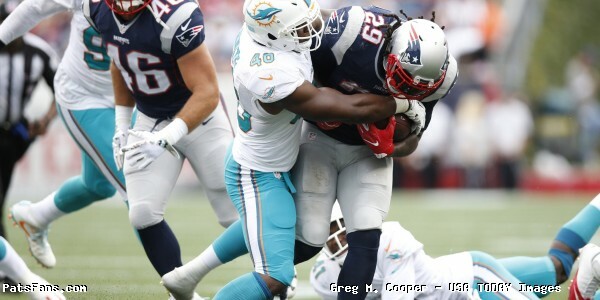 Patriots – Dolphins II Keys, Who Has the Razor’s Edge? The New England Patriots will play their final game of the 2016 NFL regular season on the road against the Miami Dolphins on Sunday at 1 p.m. The game will be broadcast by CBS and can be seen locally on WBZ with Ian Eagle and Dan Fouts handling the play-by-play and analysis duties. Evan Washburn will work the sidelines. The game will also be aired on the Patriots flagship radio station 98.5 The Sports Hub with Bob Socci and Scott Zolak on the call, produced by Marc Capello. 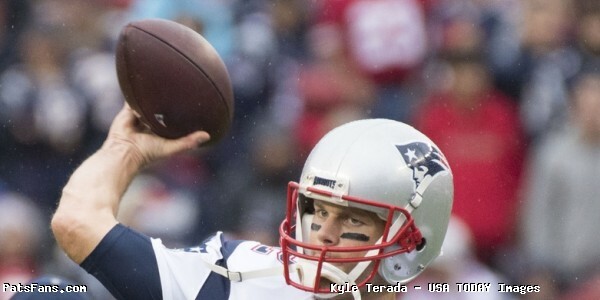 The Patriots (13-2) defeated the New York Jets on Christmas Eve in Foxboro 41-3. Tom Brady threw for three first half touchdowns and LeGarrette Blount rushed for two touchdowns giving him a league-leading 17 on the season. The defense forced four more turnovers. The Dolphins (10-5) beat the Buffalo Bills 34-31 in overtime. Jay Ajayi rushed for 206 yards and a touchdown, his third 200-yard game of the season. QB Matt Moore filling in for the injured Ryan Tannehill threw for 233 yards and two touchdowns. The Patriots and Dolphins will be meeting for the 103rd time with Miami holding an all-time 53-49 edge. The Dolphins hold a big all-time edge in home games 36-15. The last three years have seen the series split along home lines with each team holding serve on their home field. The Patriots jumped out to a big lead in Week 2 but then had to hold on for a 31-24 victory with Jimmy Garoppolo starting at QB before being injured and giving way to Jacoby Brissett. This entry was posted in Patriots Commentary, Patriots News and tagged 2016 NFL Season, 2016 Patriots season, Adam Gase, Bill Belichick, Buffalo Bills, Cameron Wake, Chris Hogan, Devante Parker, Dion Lewis, Dont'a Hightower, Jabaal Sheard, Jarvis Landry, Jay Ajayi, Jimmy Garoppolo, Julian Edelman, Kenny Stills, Kenyon Drake, LaGarrette Blount, Malcolm Butler, Martellus Bennett, Matt Moore, Miami Dolphins, Ndamukong Suh, New England Patriots, New York Jets, NFL, Patriots, Rob Gronkowski, Tom Brady, Trey Flowers on December 30, 2016 by Steve Balestrieri. The Patriots 2016 regular season finale brings them back to South Florida where they’ll take on the Miami Dolphins on Sunday at 1 p.m. The Dolphins have seemed to have found the right man in head coach Adam Gase. After a slow start, the team has bought into Gase’s system and they’re winners of nine of their last ten games. The Dolphins started 1-4 including a Week 2 loss to the Patriots but have been on a roll since. With their win over the Bills on Sunday, coupled with the loss of the Broncos to the Chiefs on Sunday night, Miami is playoff bound for the first time since 2008. They scantly resemble the team that came into Foxboro early in the season and will be looking to enter the playoffs on a high note. FWIW, Miami has beaten the Patriots on their last three trips to South Beach including last year’s regular season finale where the Patriots dusted off a game plan from 1933. The Patriots need a win or an Oakland loss or tie to secure home-field advantage for the playoffs. They remember all too well having to travel to Denver for the AFC Championship Game and want the playoffs to run thru Foxboro. Miami is currently in the 6th playoff spot, but with a win and a KC, loss could move into the 5th position. Gase Was the Best Move Made in Offseason: We wrote this in mid-September and it has been proven by the way the season has played out. When Miami landed Gase this offseason, it was perhaps the best move the franchise has made in many years and arguably one of the best that any team had done this spring. The acquisition of the Nick Saban disciple in Gase was a much needed and smart move by Miami who has had a coaching carousel for far too long. Gase worked well with Peyton Manning and he turned things around for Ryan Tannehill who hasn’t had a stable coaching staff in his career. Gase went to a simpler offense that plays to the strengths of his QB and his talented skill players. Instead of the deep play offense that didn’t work, but more of a methodical approach that the Patriots employ. Jay Ajayi Has Been the Biggest Surprise of 2016: When the Patriots faced the Dolphins in Week 2, Ajayi wasn’t a big part of the Miami offense. They brought in veteran Arian Foster to bolster the running game, but his injuries proved to be too much and he’s since retired. Since then, Ajayi has become an explosive weapon. Ajayi has three games this season where’s he’s topped 200 yards rushing including back-to-back games in Weeks 6-7 against Pittsburgh (204) and Buffalo (214). He was slowed in recent weeks but exploded for another 200-yard effort against the Bills last week when he rushed for 206 yards. In overtime, he burst 57 yards to set the Dolphins up for an Andrew Franks game-winning field goal. Ajayi suffered a shoulder injury late in the game against Buffalo but is expected to be ready to go on Sunday. This will be a big test for the Patriots run defense, who prior to Saturday’s game against the Jets have held their previous four opponents to under 64 yards rushing. Landry, Parker, and Stills, A Big Three in the Passing Game: The Dolphins have the receivers to give the Patriots plenty of issues when the teams face off in Miami. Jarvis Landry is the most prolific receiver on the Dolphins with 85 catches for 1060 yards and three touchdowns. He’s the go-to guy in the passing game. But DeVante Parker has been effective as well. He’s caught 51 passes for 699 yards and four scores. Both Landry and Parker had over 100 yards receiving when the teams met in September. But it has been Kenny Stills who has become the homerun hitter for the offense. Stills has 38 catches for 685 yards and eight touchdowns in 2016. His 18.0 yards per reception is second in the NFL to only Chris Hogan’s 19.2. Stills has seven touchdown receptions of 20 yards or more, including three of over 50 yards. While Landry and Parker have moved the chains, Stills, in his second season in Miami has been the big play guy in the passing game. This should be an intriguing matchup between the Patriots secondary and a Dolphins group of receivers who really came on in the second half of the game against them in Foxboro and narrowly missed an upset win. Resilience, Depth the Keys to This Dolphins Team: As we mentioned above, the Dolphins made a very smart move in hiring Adam Gase. He kept the team marching forward despite a 1-4 start and a slew of injuries and kept this team winning where so many other Miami teams in the past would have folded up their tents. According to the Elias Sports Bureau, since 1990, 128 teams have started 1-4. Only eight of those teams, just six percent have made the playoffs. The Dolphins join the Chiefs of 2015 as the two latest teams to accomplish that. Miami has also lost arguably their best offensive and defensive players in safety Reshad Jones and center Mike Pouncey. They’ve had to deal with their starting QB Ryan Tannehill being out as well as the loss of linebackers Koa Misi and Jelani Jenkins. This week, they’ll probably be without safety Isa Abdul- Quddus who is banged up. Run Defense is a Huge Problem Spot: Miami’s defense takes a page from the Patriots playbook, while they’ve given up plenty of yardage, they’re not giving up a lot of points. However, the run defense has been a problem all year and continues to be an issue. The Dolphins run defense is 30th in the league allowing a whopping 141.8 yards per game. They also allow a league worst 4.9 yards per carry. The defense has already allowed more yards than the awful 1-15 team of 2007. If the Patriots generate 335 yards of offense on Sunday, it will mark the most yards allowed by a Miami defense in their history. But despite being #24 in yards allowed in 2016 (5726) and an average of 381.7 per game, the Dolphins are just 14 in points allowed. This entry was posted in NFL Commentary, Patriots Commentary and tagged 2016 NFL Season, 2016 Patriots season, Adam Gase, Bill Belichick, Devante Parker, Jarvis Landry, Jay Ajayi, Kenny Stills, Matt Moore, Miami Dolphins, Ndamukong Suh, New England Patriots, NFL, Patriots, Reshad Jones, Tom Brady on December 28, 2016 by Steve Balestrieri. The Patriots 2016 season returns to Foxboro for the first time in 2016 and they face their divisional rival Miami. The Dolphins have been in turmoil for several years at the top despite being big spenders in free agency. No more. They seem to have finally found the right guy to lead the team in Adam Gase, we’ll have more on him below but they get high marks with his hiring. The Dolphins lost a tough heartbreaker to the Seahawks on a Russell Wilson to Doug Baldwin pass with just 31 seconds left. The 12-10 loss stings because Miami felt and rightfully so, that they left some points on the board. Miami has some talent on both sides of the ball, the question is, is it enough to compete for a playoff spot and how quickly will Gase turn things around. Gase Was the Best Move Made in Offseason: When Miami landed Gase this offseason, it was perhaps the best move the franchise has made in many years and arguably one of the best that any team had done this spring. The acquisition of the Nick Saban disciple in Gase, was a much needed and smart move by Miami who has had a coaching carousel for far too long. Gase worked well with Peyton Manning and now will try to turn the fortunes around for Ryan Tannehill who hasn’t had a stable coaching staff in his career. Gase is going to a simpler offense that plays to the strengths of his QB and his talented skill players. Instead of the deep play offense that didn’t work, but more of a methodical approach that the Patriots employ. Tannehill Should Benefit from the Hiring: If there is a coach that can bring out the best in Ryan Tannehill it is Gase and while the Dolphins are paying him like a franchise QB, he’s yet to produce like one. While his numbers were pedestrian against Seattle on Sunday, 16-29, 186 yards and no touchdowns, that isn’t exactly an uncommon result from teams that play in Seattle against the Seahawks defense. Tannehill did have a deep pass to Kenny Stills that should have went for a deep 71-yard touchdown but Stills dropped it while all alone behind the defense. Dolphins Defensive Line Strong, Disruptive in Opener: Miami spent a ton of money on the defensive line in recent years, and if the season opener is any judge on how the rest of the season is going to go, then they’re going to reap the benefits soon. The Dolphins nearly pulled off a big upset on the road and the DL was a big reason why. Ndamukong Suh, Jordan Phillips, Jason Jones, Mario Williams and Cameron Wake were constantly beating their opponents off the ball and causing disruptions in the Seattle backfield. They forced Russell Wilson into a couple of mistakes and were at times dominant. Suh had four tackles, including a 13-yard sack, and three quarterback hits. He batted down a pass on third down on Seattle’s final drive, but the Seahawks were able to convert on fourth down. Jordan Phillips was very impressive and blew up a play that caused a fumble in the Seahawks backfield. This should be another stiff test for the Patriots offensive line this week. This group can stop the run and get after the passer. Miami’s defense goes thru this front. Showing he was all the way back from his Achilles injury, he got the starting nod of incumbent Jay Ajayi and looks like the Foster of old for the most part. He managed only 38 yards on 13 carries, but that isn’t unusual for teams playing Seattle, but he did produce 62 yards on three catches including a 50-yarder. Foster has rushed for 1200 yards or more four times in his career and the Dolphins are hoping that he can recapture some of that magic this season. Dolphins Linebackers Still Have Questions: Miami is banking on a return to health of Kiko Alonso in 2016, the talented but oft-injured middle linebacker is a player that roam from sideline to sideline and make plays. If he can stay on the field and healthy, a big if, he’s a big upgrade from Kelvin Sheppard from a year ago. Jelani Jenkins is another talented player but his consistency has been beset by injuries as well. Koa Misi is an athletic player but has an annoying reputation of letting the play coming to him rather than being an aggressive down-hill type player. The depth is an issue, with the team having STs maven Spencer Paysinger, Zac Vigil, and Mike Hull as backups. That may be the reason the team is bringing in former Packer and Bengal A.J. Hawk this week for a look. This entry was posted in Patriots Commentary, Patriots News and tagged 2016 NFL Season, 2016 Patriots season, Adam Gase, Arian Foster, Bill Belichick, Jay Ajayi, Jelani Jenkins, Kiko Alonso, Koa Misi, Miami Dolphins, Ndamukong Suh, New England Patriots, NFL, Patriots, Ryan Tannehill on September 13, 2016 by Steve Balestrieri. 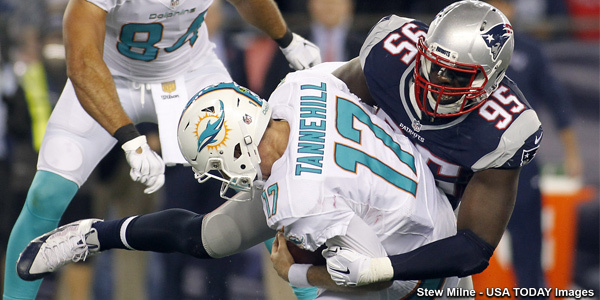 Patriots – Dolphins II, Key Matchups; Who Has the Razor’s Edge? The New England Patriots travel down to South Florida for their final regular season game of the 2015 season to take on the Miami Dolphins on Sunday at 1:00 p.m. The game will be broadcast on CBS with the announcing crew of Kevin Harlan and Rich Gannon on the call. The game can also be heard on the Patriots flagship radio station of 98.5 the Sports Hub with the voice of the Pats Bob Socci on the call with Scott Zolak. The Dolphins (5-10) have been one of the bigger disappointments of 2015. They were expected to not only vie for a playoff spot this season but push the Patriots for the AFC East crown. After going thru an initial burst of two wins with interim coach Dan Campbell, the Fins are floundering and in the midst of a double-digit loss season. Big changes are coming for Miami this offseason. New England (12-3), had a tough overtime loss against the Jets 26-20 on Sunday. However, with a win on Sunday, the Patriots clinch home field advantage for the AFC playoffs. Injuries continue to haunt the Pats as the team lost LT Sebastian Vollmer on Sunday. His replacement LaAdrian Waddle later went down as well. The team was already without their two starting safeties (Devin McCourty and Pat Chung), two top wide receivers (Julian Edelman and Danny Amendola), and top two running backs (LaGarrette Blount and Dion Lewis) among others. Chung’s replacement Jordan Richards was hurt on the first play of OT and his replacement, Tavon Wilson was victimized on the very first play for a 48-yard gain that set the Jets up for the win. Series History: The Patriots and Dolphins will meet for the 101th time on Sunday. The series was dominated by the Dolphins in during the middle years especially in Miami but the Patriots under Bill Belichick have turned the tide in recent years. The teams have split their matchups the last two seasons with each winning at home. Miami won the season opener last season with the Patriots taking a December matchup in Foxboro. The Patriots blew out Miami on a Thursday night game earlier this season. This entry was posted in Patriots Commentary, Patriots News and tagged 2015 NFL Season, Bill Belichick, Brandon LaFell, Chandler Jones, Dan Campbell, Danny Amendola, Devante Parker, Jabaal Sheard, Jarvis Landry, Jay Ajayi, Julian Edelman, LaGarrette Blount, Lamar Miller, Malcolm Butler, Miami Dolphins, Ndamukong Suh, New England Patriots, NFL, Patriots, Patriots edge rushers, picks, predictions, Reshad Jones, Rishard Matthews, Rob Gronkowski, Rob Ninkovich, Ryan Tannehill, Tom Brady on December 31, 2015 by Steve Balestrieri.